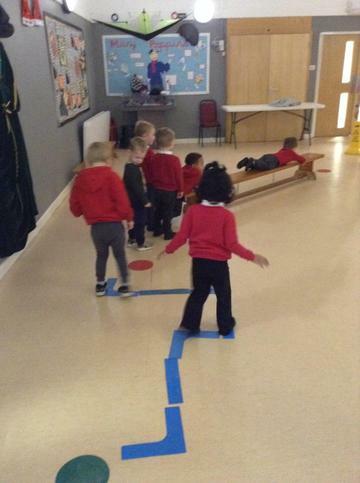 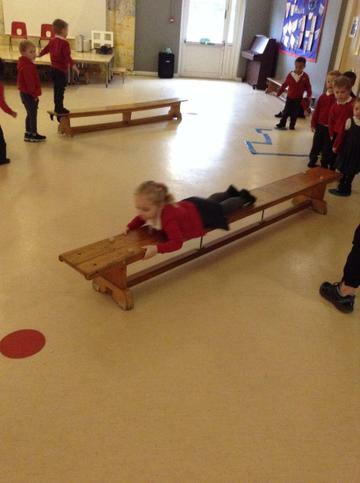 This week we had to be vehicles following different tracks around the hall. 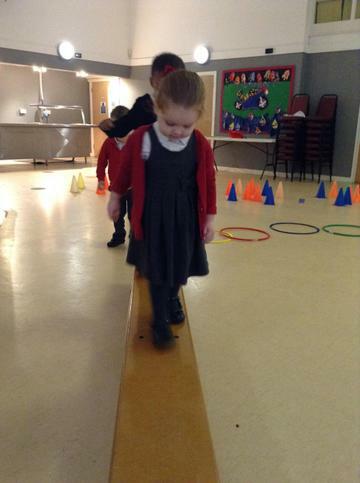 Some tracks were bendy and some were higher. 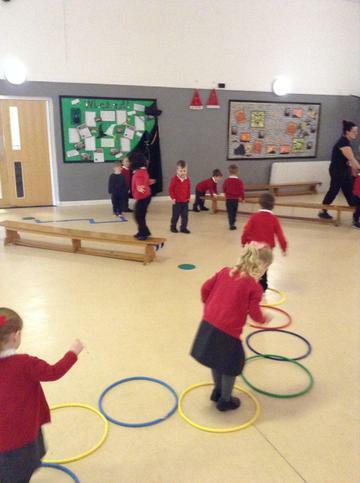 We had to weave, balance and jump through the routes. 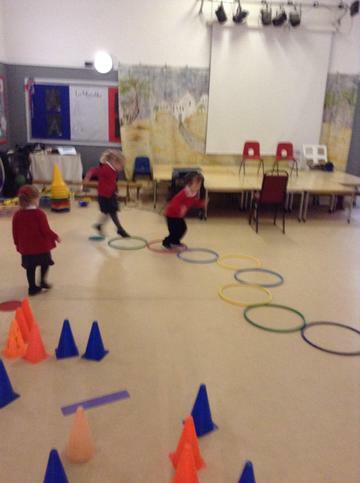 We then practised underarm throwing at a target!